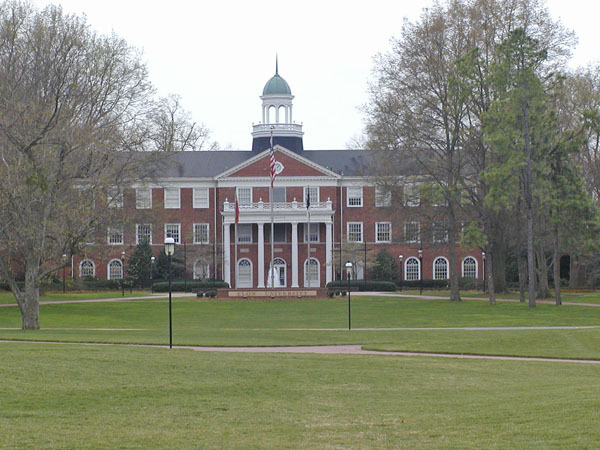 Home -> Vacations -> North Carolina -> 2002 -> SEBTS / Elon U. 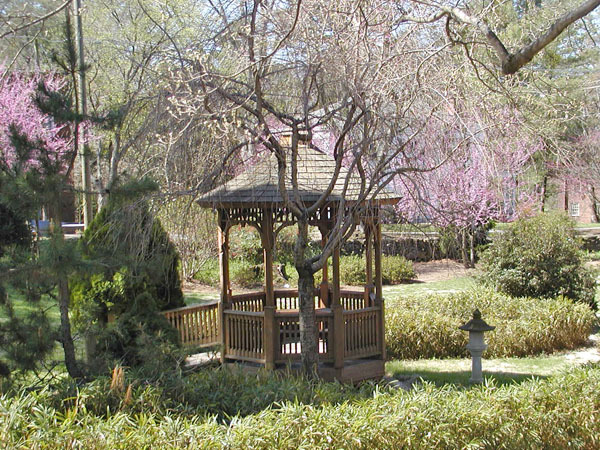 An invitation to speak at the North Carolina DRA User's Group meeting gave me an opportunity to visit North Carolina. 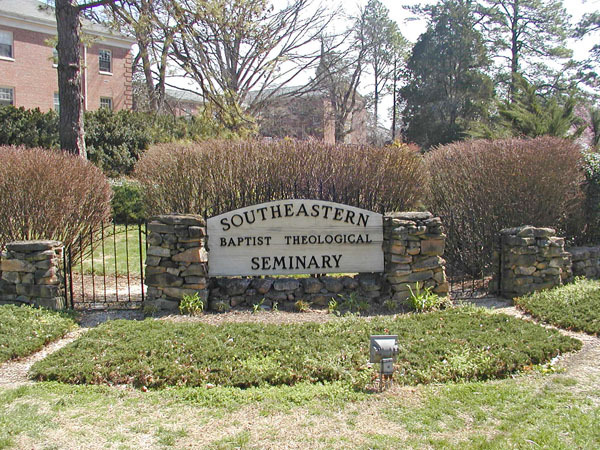 One of the sister institutions to my (now previous) place of employment is Southeastern Baptist Theological Seminary located in Wake Forest. 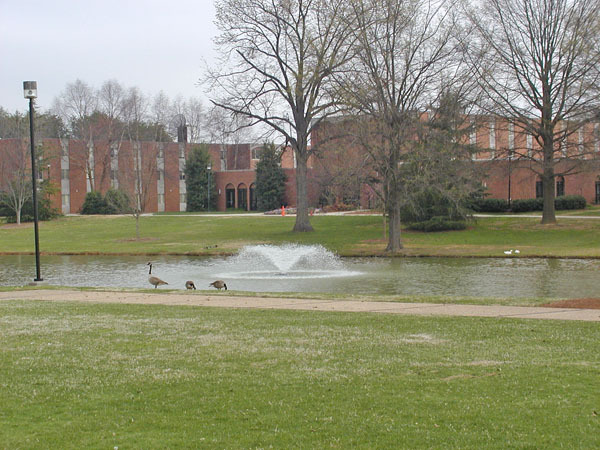 They have a very nice campus. 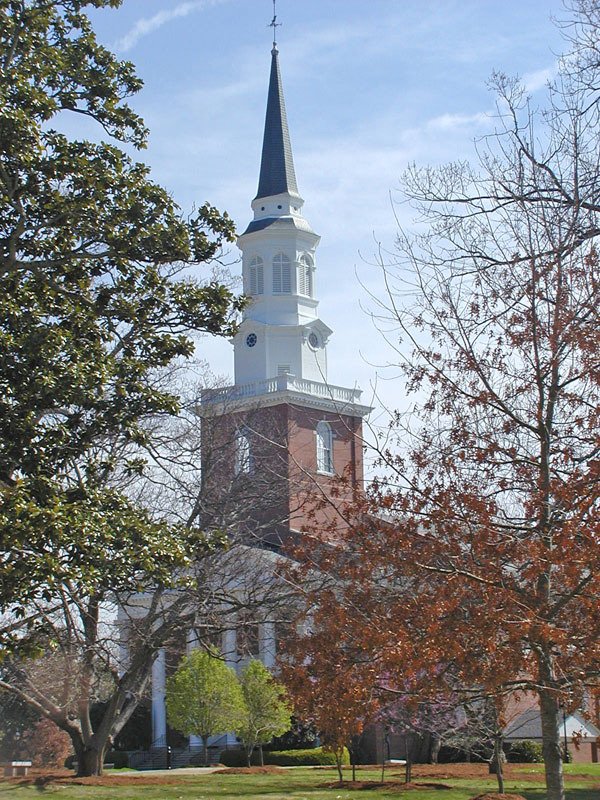 This is Binkley Chapel -- named in honor of the second President, Olin T. Binkley. 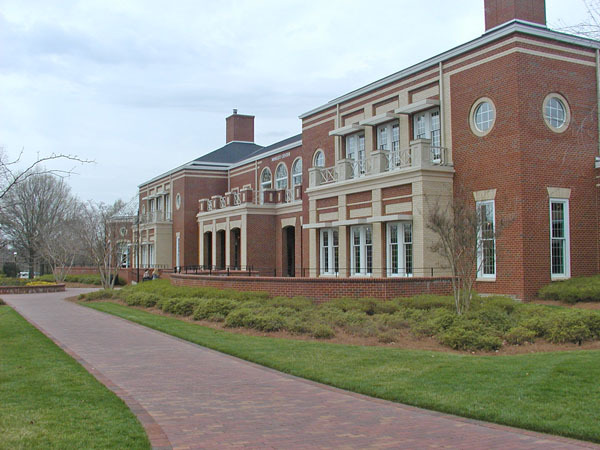 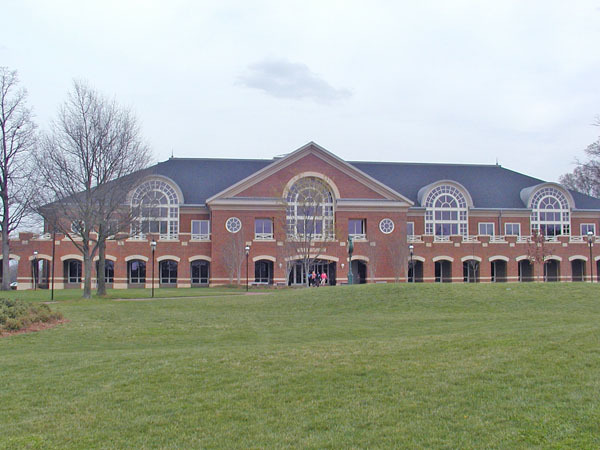 The meeting was at Elon University in Elon, North Carolina (just north of Burlington and east of Greensboror). 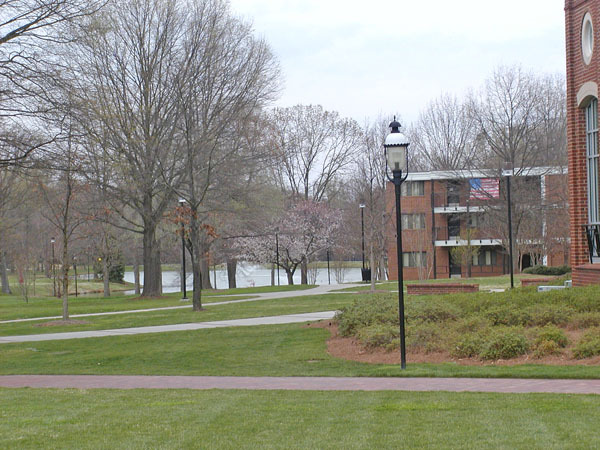 The university has only about 4000 students but, as you can see, it is a really wonderful campus. 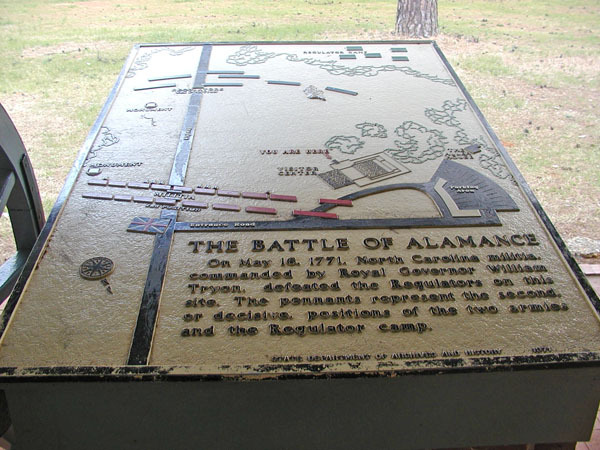 Near Burlington, North Carolina, is the Alamance Battleground. 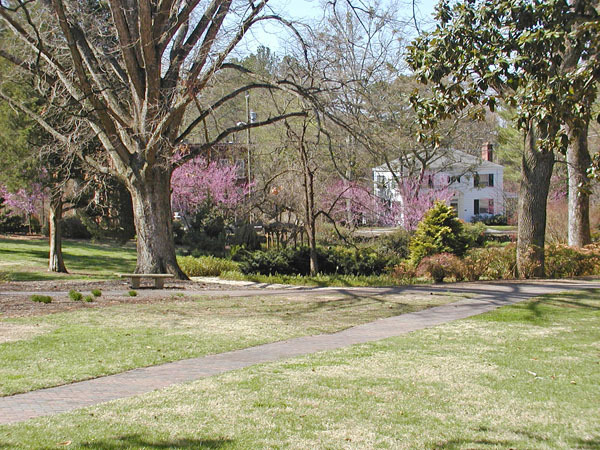 This site is where, in 1771, the North Carolina authorities put down a rebellion by the "Regulators." 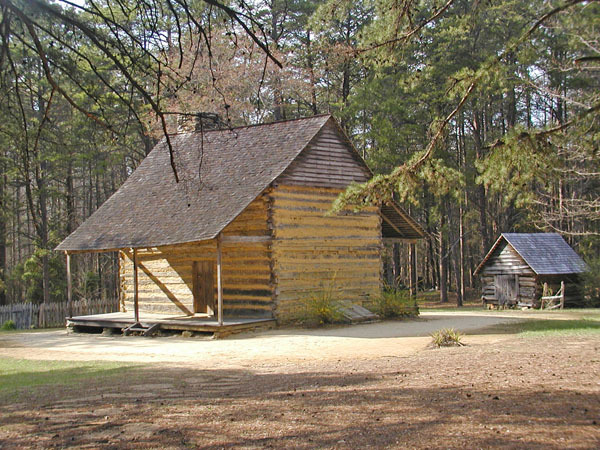 Some claim this to be the first battle of the Revolutionary War because the "Regulators" were protesting regulations they felt were unfair including high taxes and confiscation of property to pay for unpaid taxes. 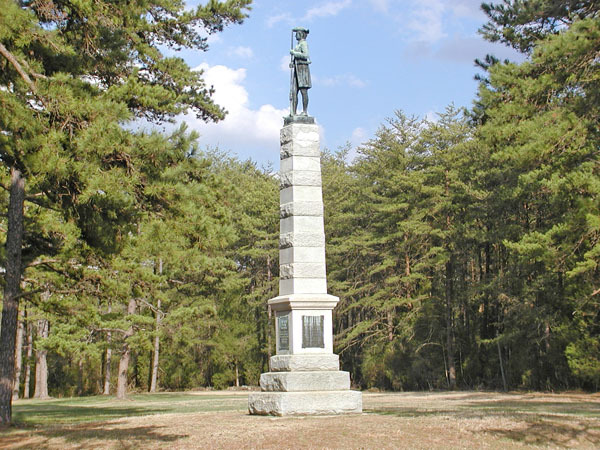 The monument below is to twelve of the Regulators who were captured at the battle and condemned to die. 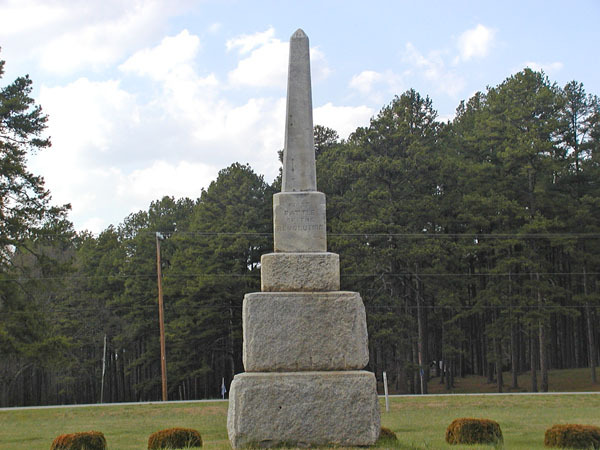 Only six were executed as examples to the other colonists.